To say that rebounding (and specifically ReboundSA) has changed my life and my business is an understatement. My studio literally got a new lease on life. My clients love the classes and the health benefits we have witnessed over the past couple of years have been astounding. I love teaching the classes, the clients line up (even during winter) and everyone leaves in a great mood. It really is the best and most fun form of exercise. Dealing with Keith and Justine has always been a pleasure. They are mines of information and no one knows their product better than they do. They are so helpful and so passionate and nothing is ever too much trouble. I am looking forward to working with them in the near future on some new and exciting things!!! 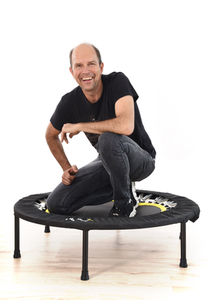 I have been using and recommending ReboundSA rebounders for many years and I feel that this is the ultimate exercise as it strengthens every part of the body, and in particular the immune system via the lympathic massage effect. Their products are the finest on the market and give the correct bounce and last very well. 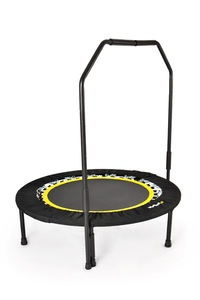 I have been using my rebounder for many years and always recommend their range to my patients. I have been dealing with the Rebound SA team for many years and only had the very best of services! They have such a positive and passionate outlook on health, vitality and fitness and are a true inspiration to everyone. 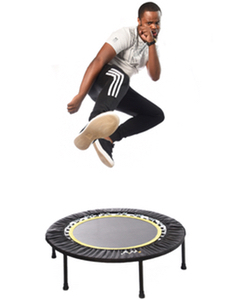 Many of my clients rebound for weight loss, and it is most effective, but I have also witnessed so many health benefits over the years, one being a client of mine who suffered for a year from a spider bite, which turned his leg black – amazingly as soon as he started rebounder his leg started to heal and became totally healthy again.